Home / Archive by category "Search Engine Algorithm Updates"
Despite Google’s unofficial promise (made after rolling out “Florida” update back in November 2003) to not mess up with the ranking algorithm during the holiday season; the world’s biggest search engine is on a continuous spree to push fresh algorithmic updates – Penguin 3.1, 3.2, 3.3 & 3.4 one after another. As reported by searchengineland on 10th Dec, 2014, a Google Spokesperson said in an open statement that Penguin is shifting to more continuous updates with the idea to keep optimizing its algorithm as they go now. More details of all these 4 Penguin updates are shared below. Nearly after waiting for one year, Google unveils its updated Penguin 3.0 version, which is aimed to fight with spam websites especially those websites that has not adhered with the linking guidelines of Google and fall under link schemes. 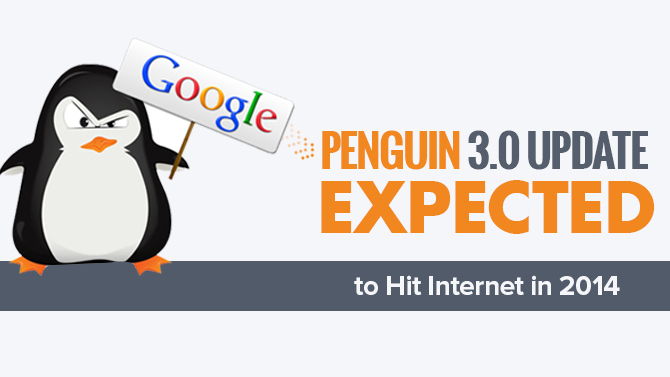 We have notified earlier that Penguin 3.0 is expected to hit soon. As usual with earlier updates, this update too will have good effects on some websites’ ranking while it will also adversely affect some websites, which have yet not followed the Google’s link building principles. Quality content has become a popular term in the past few years ever since Google has announced its search engine algorithm updates, Panda and Penguin. Search Engine Optimization (SEO) experts have often been told to take care of the content quality to ensure higher ranking of their websites in search results. But what does this quality content actually means? Google is getting geared to roll out the latest Panda Update, known as Panda 4.1. This update is 27th Panda update ever since Google has launched its algorithmic update by the name of Panda. As per the sources suggest, this new update has a filter, which is specifically designed for penalizing poor or low quality content and barring it from getting higher ranks in search results. “My guess is yes, but as always there are things that could happen in between and I am pretty confident that we will have something in the reasonable future, but not today, but we will definitely let you know when things are happening”. Recently news flashed over the Internet that Google has introduced changes to its local search engine algorithm, which is named as “Google Pigeon Update” by Search Engine Land. With this update, we still do not know who will instantly get affected but the local businesses are sure to face an increase or decrease in their website traffic and referrals. The Google Pigeon update is launched for enhancing the distances and local parameters to make the local search results more accurate for the users. 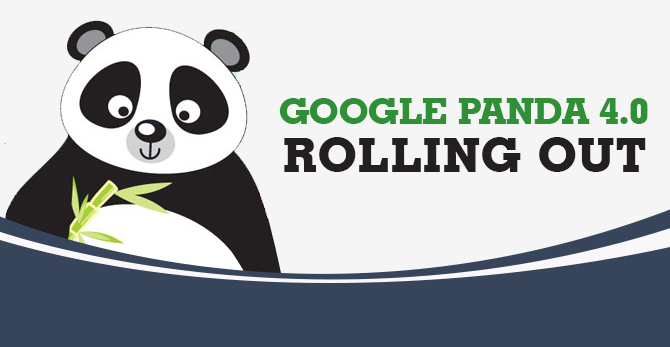 On May 20, 2014, Google began rolling out their Panda 4.0 update, which is designed to penalize poor content websites. This update generated both “winners” who have moved up in Google rankings and “losers” who have dropped down in ranking. According to the initial winners and loser charts of Searchmetrics, eBay is one of the biggest losers and has lost a tremendous amount of traffic from Google, much of it from the ebay.com/bhp/ area of its site. The other big losers are ask.com, starpuls.com, and biography.com. Google’s Matt Cutts has just tweeted that they are rolling out version 4.0 of the Google Panda algorithm. It is worth noting that Google announced it would no longer confirm or give more details on future Panda updates due to its new “gradual” roll out infrastructure for Panda Updates. But, this time Google updated with the new Panda version that means it is a bigger update.